Property by Activity Cycling Fishing Golfing Swimming Tennis Walking Visiting Spa Need some inspiration? Your search returned 554 matching properties. A high end property which is so beautiful an experience all by itself in the most magical position where you can gaze at deer and hares as you wash up or make a drink. Stunning. 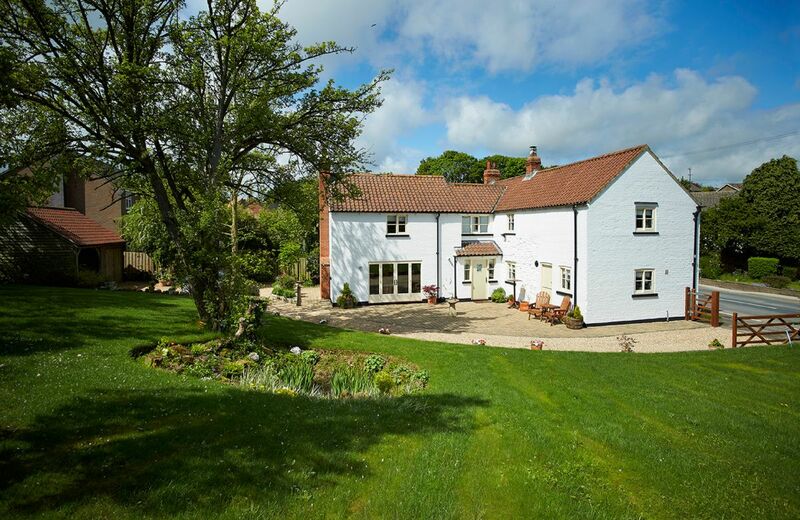 Lovely setting, beautifully presented house and good location for exploring Norfolk. However we did feel that the lack of wardrobe storage ( apart from a coat stand ) in the screened off bedroom was disappointing given that the whole property had a lot of hi tec features. Beautifully restored barn in the middle of peaceful countryside. Wonderful walks immediately from the house and everything worked perfectly. Highly recommended. What a wonderful review and recommendation for our lovely new property The Stable Yard. Thank you so much. Fantastic property, much, much better than a home from home! 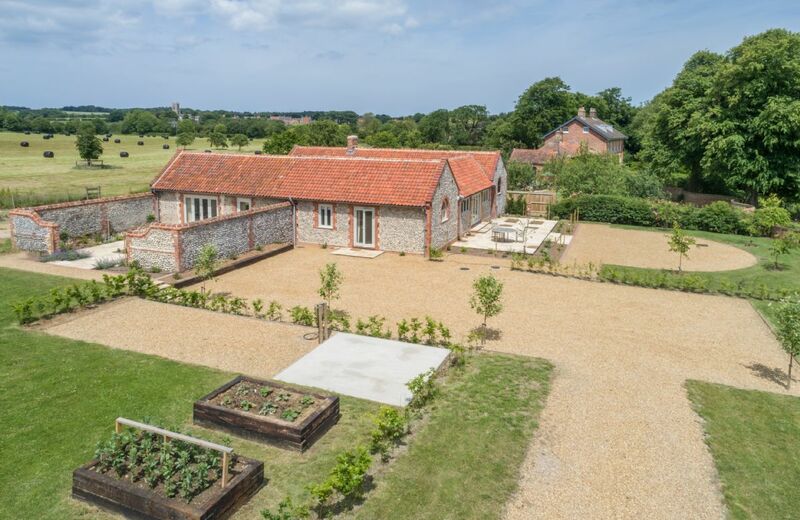 This beautiful conversion of former stables is a very special holiday retreat for those who enjoy the finer things in life, and are looking for a peaceful, relaxing escape from a busy life. A perfect place to stay all year round. One of eight cottages situated in the beautiful Boyne Valley. With four bedrooms one of which is en-suite - its an ideal place for a family. It offers shared access to a Day Spa, children's out door play area, indoor games room and gym. A beautifully restored and extended Wellhouse, set in 15 acres of shared grounds with a lake, stream and woodland located near Lyme Regis in West Dorset. 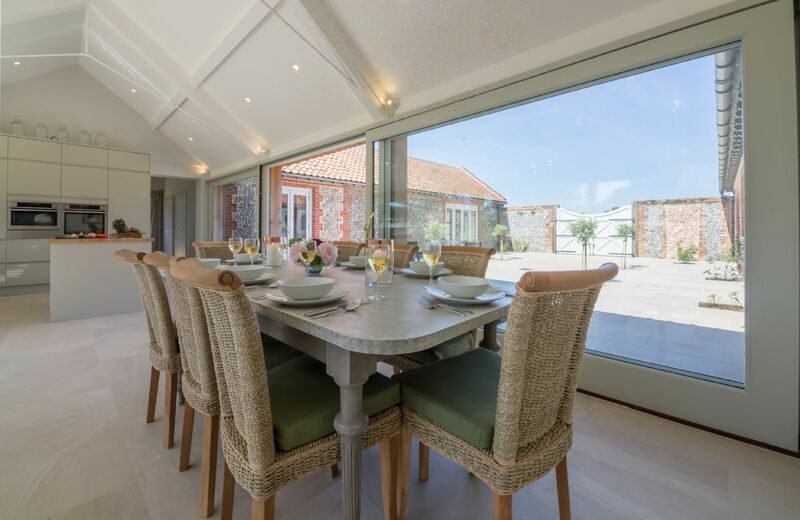 The Wellhouse features an architect designed, 70m square extension with contemporary open plan kitchen and living space, designed and built by award winning furniture designer James Verner. The White House was delightful, blending historical cottage details with all the modern comforts. We found it extremely charming and comfortable; really a pleasure to "come home" to. The kitchen was very well-equipped with everything we needed for family meals and entertaining. We appreciated the wine and food items (fresh bread, butter, tea) provided at the beginning of our stay. The house felt very cosy while having ample room for us to host a large family group without feeling crowded. The house was very clean and well-maintained. The ducks on the pond next door were a treat to watch! Some very minor suggestions to make things even better: more towels please; dishwasher bottom rack needs repair or else an explanation as to how to use it (we could not figure out how to make it hold plates etc); bathtub stopper needs to be fixed or replaced; fans in bathrooms upstairs can be annoying at night as they run for a long time after the light is turned off; living room windows appeared able to be opened but were stuck shut. Surpassed our expectations. So peaceful, loved sitting in the garden. All the furnishings and decor were fabulous. This cottage was just perfect, we had a wonderful time over the bank holiday weekend . It’s immaculatly clean, in an excellent location right in the heart of a picturesque village and within walking distance of a good local pub. Lovely well appointed property but is situated on a busy road and the almost constant road noise made it difficult to sleep and relax. excellent house, very comfortable, sort of place we will use again as it is easy to reach the moors and the coast. Lovely comfy & spacious cottage with great kitchen diner for eating meals in (but could have done with a couple of casseroles for the oven!). Really warm in October so never needed the the open fire in the kitchen! The village pub made us very welcome. Great location just off the Hull by-pass with easy access to city centre attractions, Beverley, the Wolds & the coast. Will definitely consider returning. Beautiful, clean and well equipped. Near to a very good pub/restaurant. Very convenient for Hull, Beverley and walking in the Yorkshire Wolds. The holiday cottage was beautiful and catered well for our break. The arrival pack was much appreciated. The cottage had everything you could think of! Beautifully presented, lovely location. I can't wait to have another excuse to book it. Located in the small village of Little Weighton close to Beverley on the edge of the Yorkshire Wolds, this spacious property offers three bedrooms and two bathrooms, one of which is en-suite, close to the coast at Scarborough (30 miles). For holidays taken between 27 February 2019 And 30 April 2019 Minimum of 3 nights booking. Our holiday was perfect and the farmhouse was outstanding in every way. Chris and Phil have made a home from home with great attention to detail and comfortable surroundings. We will return again! 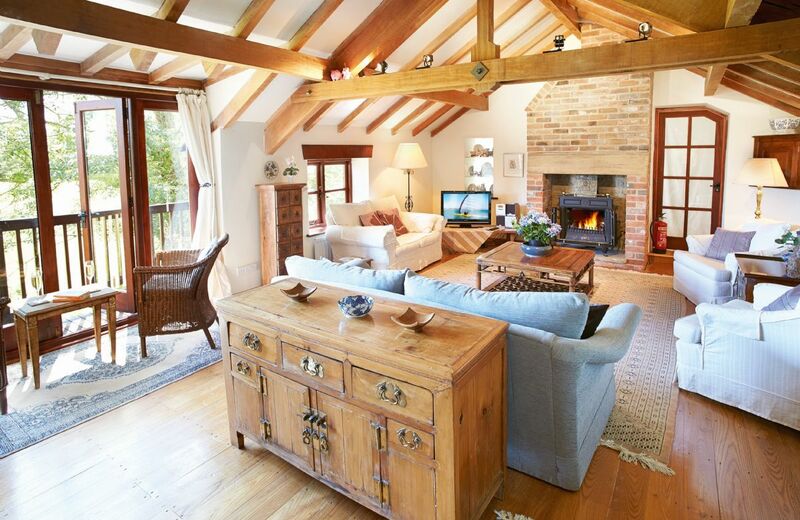 Tregadjack Farmhouse, has the 100% WOW factor! It is exquisite in every way, set in beautiful gardens and grounds with fields directly outside your private garden, for children and your pet dogs to scamper about in, all perfectly safely enclosed. The warm welcome upon arrival is such a wonderful true welcome from Christine and Philip. A hamper of food is left for us to help start our holiday, also the most tastiest Fish Pie is made for us by Christine for us to place in the Aga to cook for our first meal, included are Strawberries and homemade Brownies, all so delicious! Christine’s eye to detail is marvellous, the whole of the Farmhouse is perfect in every way, perfectly clean, nothing out of place, beautiful linen on the beds, glorious Persian Rugs on the floors, all the decor blends so well indeed, gorgeous lamps plus shades, Christine has such amazing taste! The kitchen has everything you need, it’s first class, with beautiful China and glassware etc, Dishwasher, with all other cleaning materials one needs. The Utility room houses the quality Washer/Dryer, cleaning materials for the washer/dryer, plus vacuum cleaner, ironing board, iron, mop and bucket plus brooms. It also has a toilet in the Uitility room to save you going upstairs into the bathroom or shower room in the bedroom. I 100% recommend the Farmhouse, though a little pricey, but you pay for quality. We were sad to leave but are returning for the Christmas and New year and have already booked for our 2019 two holidays. 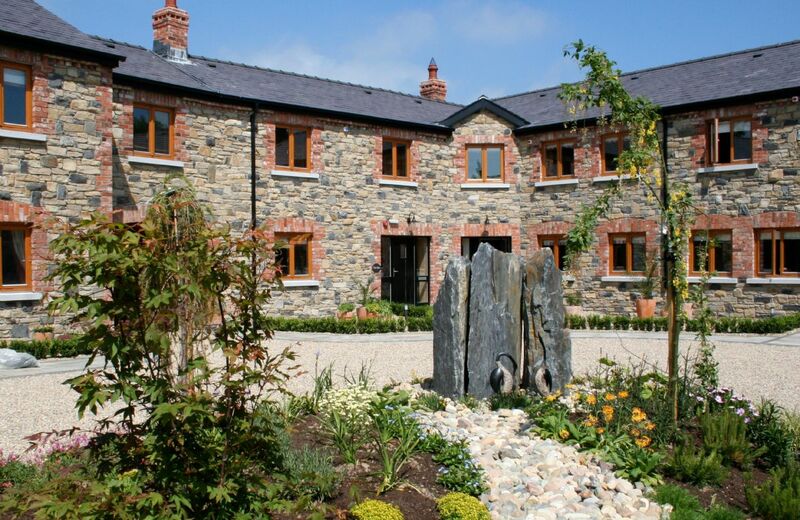 Tregadjack Farmhouse has the 100% WOW factor, it’s absolutely FANTASTIC!!! 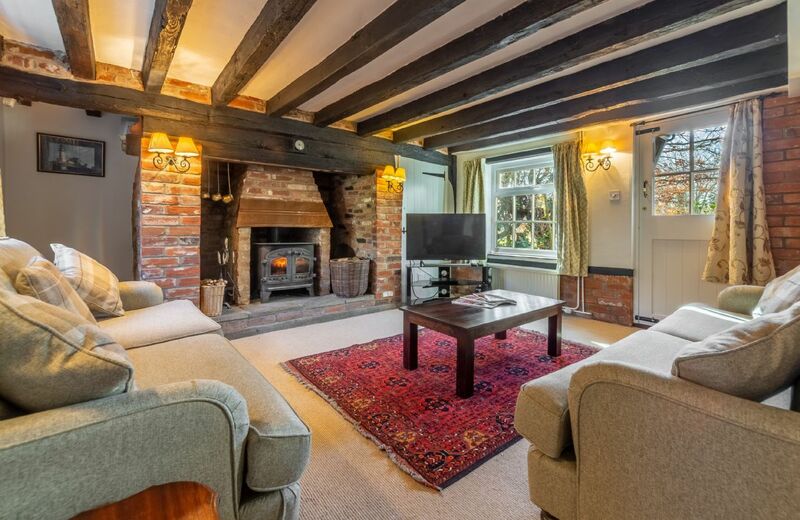 Beautifully built of Cornish Stone hundreds of years ago, has wonderful quality antique furniture, Persian rugs downstairs in the over 50ft lounge, two Woodburning Stoves each end of the lounge with an ever supply of logs. The windows throughout are Double Glazed for extra comfort. The kitchen is highly modern with everything you would expect to find in a kitchen of the highest quality, Miele Dishwasher, outstanding China, Cutlery, Dishes and Glassware, etc down to cleaning products. Underfloor heating, Pure CD player/Radio and a Smart tv. A utility room with Miele Washing Machine/Tumble Dryer, ironing board/iron, vacuum etc, plus downstairs toilet. Upstairs are three beautiful bedrooms, two ensuite, every comfort you could wish for in a bedroom, fitted carpet throughout upstairs, beautiful white crisp linen on beds. Downstairs there is also a beautiful Conservatory overlooking the glorious garden and fields, very tastefully furnished with the most comfortable Conservatory furniture and delightful cushions. Christine and Philip certainly have a wonderful eye for detail, it is exquisite all over the Farmhouse!! Fresh flowers in all rooms, a wonderful welcoming hamper on arrival, together with the most tasty Fish Pie freshly prepared by Christine for you to pop into the Aga and eat 30 minuites later, plus Christine’s homemade delicious BROWNIES. The Farmhouse is a truly wonderful treasure to spend your holiday, Christine and Philip are the most lovely people you could ever wish to meet, they can advise you on different places to visit if you ask. Very welbehaved dogs are welcome. We have been coming to Tregadjack Farmhouse since 2015, two or three times a year and have already booked for 2019, I think that tells you in a nutshell how AMAZING the Farmhouse is!!! - Jan & John Byatt & MYA our Cocker Spaniel. (15 June 2018 - 29 June 2018)We highly recommend Tregadjack Farmhouse 100%. The farmhouse is equipped with everything you need and is perfectly located. Our first stay and what a delight. Beautiful house, tastefully presented, fantastic attention to detail with comfortable beds and quality linen unlike a number of our RR places we have stayed at. The welcoming hamper is top end and you have get oils, salt and pepper, ground coffee, tea, etc, etc and range of useful other bits and pieces (dishwasher /washing machine related) that just seem to be missing at other locations where the housekeepers take the spoils or just couldn't care less. Very highly recommended and probably 6 stars. Tregadjack Farmhouse is a beautiful and peaceful place, in the countryside within 10-15 minutes drive from the best beaches in the area as well as a lovely seafront village with many shops and restaurants - perfect location. Very welcomig hosts - homemade fish pie and brownies, strawberries and cream and a bottle of wine in the fridge as well as other essential supplies which meant that we didn't have to rush to the supermaket after the long drive to Cornwall. Well above expectations! Inside the farmhouse everything was just perfect, clean, comfortable and functional, original furniture arranged with good taste. We loved the Aga in the kitchen and the flowers. Would highly recommend. Tregadjack always has the most wonderful reviews and this is no exception. Thank you so much. Fabulous place & location. Another wonderful Rural Retreats stay. One of the best properties yet. It was superb in every way & the landlady couldn't have been nicer & more helpful. Loved it & will definitely be back. What a wonderful review, thank you so much. Fabulous owners who clearly take great pride in making sure your stay is perfect. Great location for the coast and good places to eat nearby but also a great kitchen if you want to cook. Homemade fish pie was a warm treat. Would definitely return. The farmhouse was an absolute delight. Very comfortable and everything you could wish for. The fish pie and chocolate brownies provided on the first evening by the owners were scrumptious. 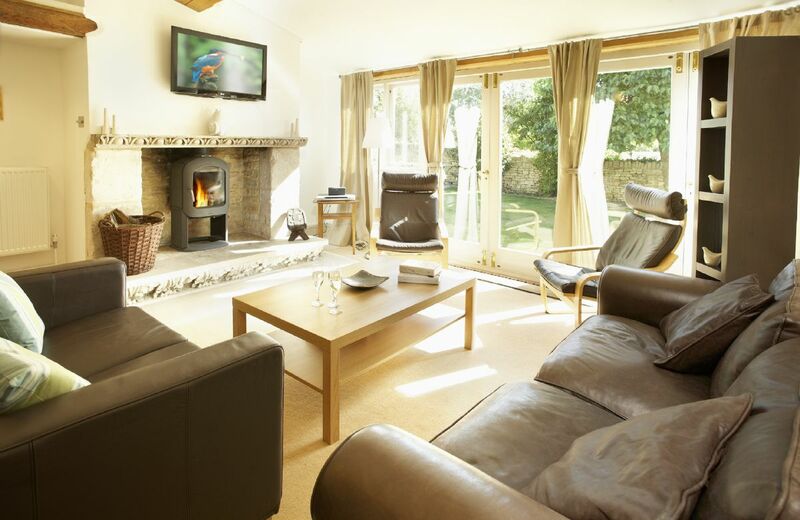 We thoroughly recommend Tregadjack as a holiday cottage! Beautiful cared for property with lots of special 'above and beyond' touches. 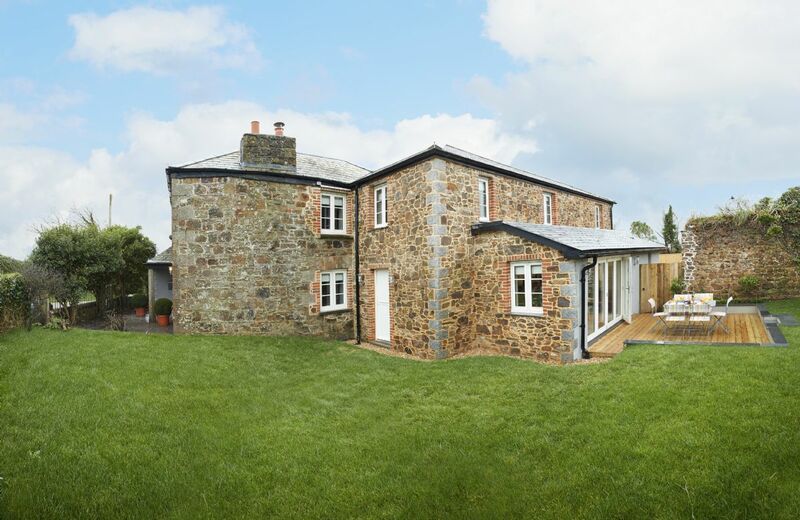 This restored granite farmhouse in Sithney, Helston, is finished to an exceptional standard and filled with period antiques. The gardens feature exotic sub-tropical plants and the south facing conservatory commands a wonderful view to the sea. Had a wonderful time. Conveniently located, comfortable and well appointed. Lovely house in an excellent location. All the facilities one could wish to find are present. Well-equipped and scrupulously clean house, in a perfect location for visiting the Lakes and the North East. The house was warm and comfortable. Many thanks to Jane for making sure that we had everything we needed. We had a great holiday here. The house itself and cleanliness were good. Lots of dead flies everywhere which we understand happens in country properties when empty but an explanation for this would have been helpful. It also meant it had not been visited for a while since it was cleaned. The hamper was not up to usual Rural Retreats standards and was very dissappointing. It is usually a lovely part of the welcome but they had put bits in the fridge and cupboards and you could not really tell whether it had been left by the past guests it whether is was all new. No nice welcoming basket which families like. We also felt the crockery needed a bit of updating. Not many serving dishes. Overall we had a great holiday though. Lovely house in a beautiful, secluded and quiet location, albeit very well positioned for Ullswater, Haweswater and the Lakes and Penrith. Thank you for your feedback. I am delighted that you enjoyed your holiday at Udford House. Having read the previous persons comment I felt it was important to say something about the flies as we stayed a week or so later in December. There were a few flies on the windowsill but nothing like the hundreds the previous person stated, and they certainly didn’t spoil our lovely stay in a tranquil setting, we just threw them out of the window! If you get the opportunity to stay at Udford house, do it was brilliant. The only thing good about it was that the house was very nicely done out and in a great position, peaceful and quiet. Specifically wanted the phone as we only have pay as you go mobiles and are selling our house so needed to be able to contact estate agents, on ringing to get key collection info I was given phone number of house phone, on arrival phone was not working and despite attempts to get owner to get it fixed it wasn't and didn't work for the whole 10 days we were there. Main problem was the flies which we were told by RR were storm flies, (on arriving home looked up storm flies and these were definitely NOT storm flies but normal nasty flies ranging from blue bottles to regular flies), and I mean hundreds and hundreds or them, after 2 days of this I rang RR and said we wanted to go home and could we have a refund on the days not taken as it was impossible to live in a house where flies are literally bombarding you in the face, it was warm weather and you couldn't have any window open either in case they flew in, I was told no we couldn't have our money back so we spent a further 8 horrid days constantly spraying fly spray (supplied by the owner) all over the place. I spent several nights sleeping downstairs on a 2 seater sofa as upstairs was unbearable with the flies buzzing around all night, the only way to stop so many emerging was to not turn the lights on upstairs at all, you try brushing your teeth and using the loo in the complete dark. Not sure what could have been done about the flies but my main complaint is that the house was not fit for purpose, ie living in it and we should have been given the option of leaving and having our money back on the days not there. FROM THE OWNER ~ The flies which were a problem while this guest and her husband were there in November were cluster flies. These come in the autumn to hibernate and are difficult to control. There was fly spray in the house which had not been used until I went to the house. I bought some more powerful spray for them to spray round the windows which is where the flies come in. The telephone being out of order was reported as soon as I knew about it and was working before the guests left. We do make every effort to make our guests comfortable and happy. FROM RR ~ Cluster flies are a real problem that many of our properties have experienced and it has been made worse this year by the good weather which has had a delaying effect on these flies hibernating. These are a seasonal nuisance but are not harmful to humans and they are not a constant in any one location. It was a lovely house in a very secluded location. (When booking, I hadn't truly appreciated how secluded tbh ). All the family loved it and the fishing was an extra bonus. The house was roomy, basic, clean and comfortable. Fab rural views in all directions with sheep and cows in the next field. Helpful owner. The other two bedrooms much the same and both roof window blinds were broken.... Between this and a boiler starting up every half hour or so made a decent night's sleep nigh impossible. We decided to call it quits and go home to our beautifully darkened bedroom. Thank you for your feedback. I am pleased that you thought the house and setting were good, however, I am sorry that the light necessitated an early return home. Udford House is a stunning property set in an idyllic location. The housekeeper does a super job of keeping it very clean and the welcome hamper on arrival was a sight for sore eyes after a long drive. The house is extremely well equipped and very cosy. We loved being able to walk from the house and the surrounding area is simply beautiful. We shall definitely be back! Fantastic place to stay. A perfect break from real life! Beautiful house and location. The whole family really enjoyed their stay, thank you! Exceeded our expectations. Just perfect. It's easy to understand why people go there again and again. Absolutely ideal. Beautiful house and perfect location. The house was excellent as were the standards throughout. and the banks were just a slippy bank of mud and rubbish that had been washed down the river. 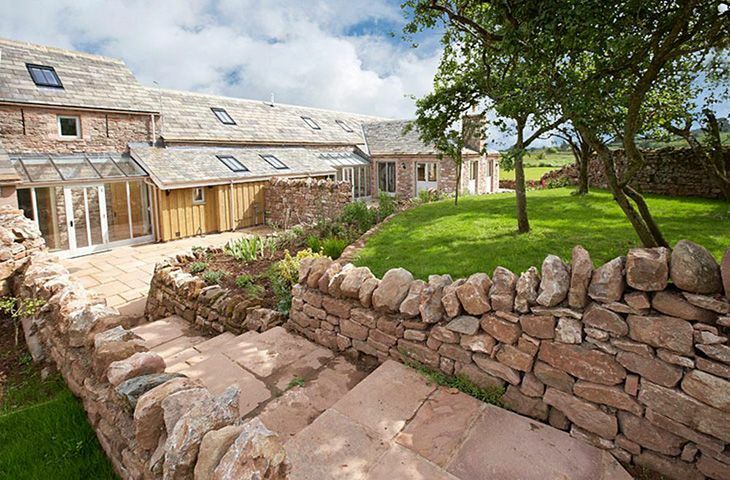 This sandstone barn conversion in Brougham near Penrith sits in a secluded spot by the River Eamont, yet it is only five miles from Junction 40 off the M6. It offers stunning views of the Pennines and the river. Beautiful location. Cottage was well appointed- new bathrooms and a really fresh feel to all the rooms. The location was fine, not having mobile telephone reception was a bit of an issue, which we were not told about before hand. Veronica Cottage is a delightful retreat. It’s nicely decorated and furnished, the beds are comfortable and for three of us, it suited our needs. There were a few things lacking that would have been useful - we only had one tea towel, 1 spare bin bag, 1 dishcloth, 1 hand towel and no bathroom cleaning products or cloth. The email I received from RR mentioned that these would all be supplied in the pleural so I didn’t bother to pack any. The window in one of the double bedrooms couldn’t be opened and the window in the far single bedroom is not attatched to it’s hinges and nearly fell out onto the ground. I left a message to report this to the housekeeper but didn’t get a response. There is a problem with the bins outside the front door - they are disgusting, there is putrid rubbish in the bottom left from some time ago. A different bin emptying system should be put in place! Both the window and bin issues have been mentioned in previous reviews - do RR read these? I’m not sure! Booking and correspondence with Head Office very good. However, couldn’t get hold of house keeper on the day and the cleanliness and level of what is provided wasn’t the usual RR standard. Wonderful location, inside the cottage was very nice but window in one of the single bedrooms didnt open at all and in other rooms it was hard to open windows. Problem with rubbish collection as the bags at the bottom of the bin were not being taken away so the bin was full of maggots and flies and was outside cottage door and kitchen. Veronica Cottage has everything you might need and want: great location and views, good beds, modern bathrooms, well-appointed kitchen, cosy living-room. You should be aware that everytime you come or leave two sets of gates have to opened and closed. Also, there is no drinking water in the house, but bottled water is provided. Always a lovely holiday. We have been for several years now and the standard is excellent. Fabulous location. Rachel who looks after the property is always very nice and extremely helpful. We had our second trip to Veronica Cottage this year as we enjoyed it so much last year. Views are spectacular and the facilities cannot be faulted. We plan to make it a third trip next year!! Amazing Cottage, newly renovated and in fantastic condition. The Views from the light hose are world-class. The perfect place for a winter getaway. 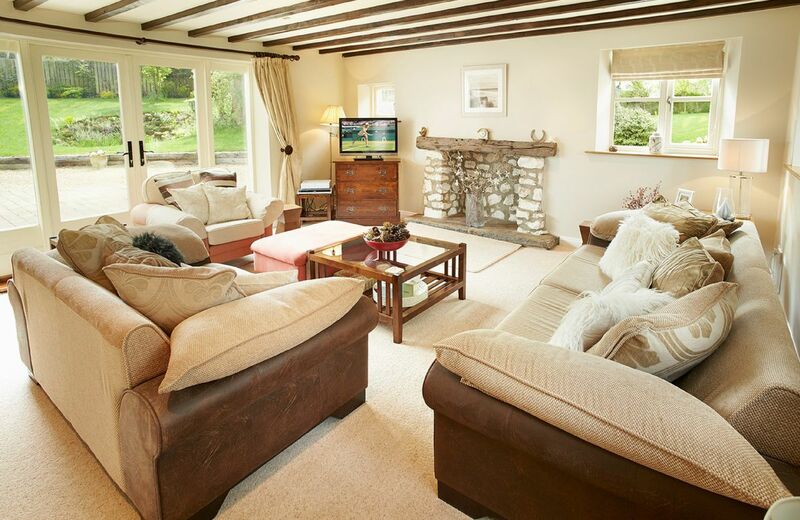 A very high quality cottage which was warm, comfortable and very well presented. The Christmas tree and Christmas decorations were most welcome as well as the food hamper. We would have appreciated more hand towels - we only had 2 for 4 people. Veronica Cottage - a beautiful place to stay. Loved the location. Right on the coastal path. The Cottage was beautifully furnished - lovely bathrooms - well kitted out kitchen. The accommodation was spacious and perfectly suited to our needs. Veronica cottage is always a favourite, not just because of the location, but because it is always spotless, and well maintained. The only negative this time was nothing to do with the property as such just that we were told the guys working on the borehole would not need to enter the property, however while we were having our breakfast at 08:00 one of the guys wanted to come in to the property regarding the electrics. We told him we would be leaving at 10:00 and asked that he enter at that time. Look forward to going back again. The property was very well cleaned, maintained and newly decorated in very appealing modern style. 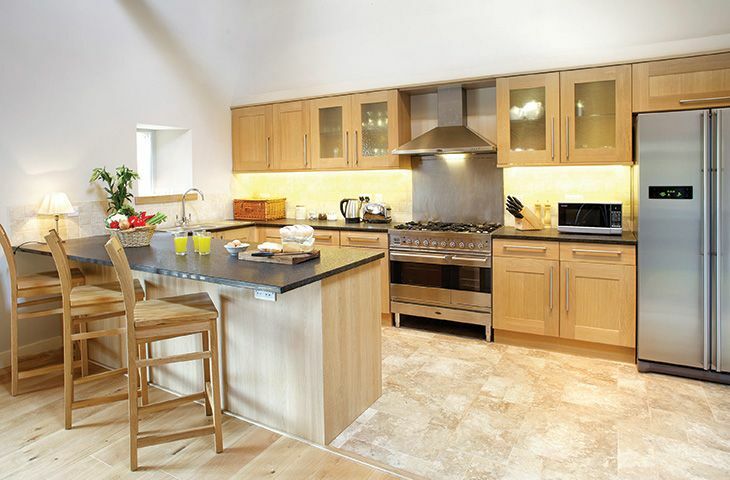 The Kitchen was modern and very well appointed and equipped for fully self-catering. Property is so charming and beautifully located. Such fun for children and adults. Cottage was beautifully decorated and in character with the area. Beds were SO comfortable! Property very clean and welcome pack ... most welcome. This is the 2nd time we have visited and not disappointed. Nice to have someone at the end of the phone should it be needed. There were 3 adults and 2 children this time, last time6 adults and one small child. The lounge was too small for the latter and VERY cosy for the first. This is the downside of the property. This attractive cottage on the Anvil Point Lighthouse site has a fully fitted kitchen, dining room, sitting room, two single and two double bedrooms (one en-suite) and bathroom. For holidays taken between 15 March 2019 And 23 May 2019 Minimum of 3 nights booking. A lovely property in a beautiful position with superb views. However some basic details were missing like nowhere to hang coats, etc and no mirrors in the bedrooms to do makeup etc. If these details were attended to it would easily rate 5 stars. Absolutely stunning! Beautifully decorated and comfortable home with outstanding views. Plenty of storage for those staying on longer breaks. Welcome hamper and fresh flowers on our arrival were very much appreciated. If you enjoy cooking / baking the kitchen has a multitude of appliances and equipment all of which are top quality. A beautiful building refurbished to a high specification with amazing views in a lovely part of the world. We had such a wonderful relaxing holiday. 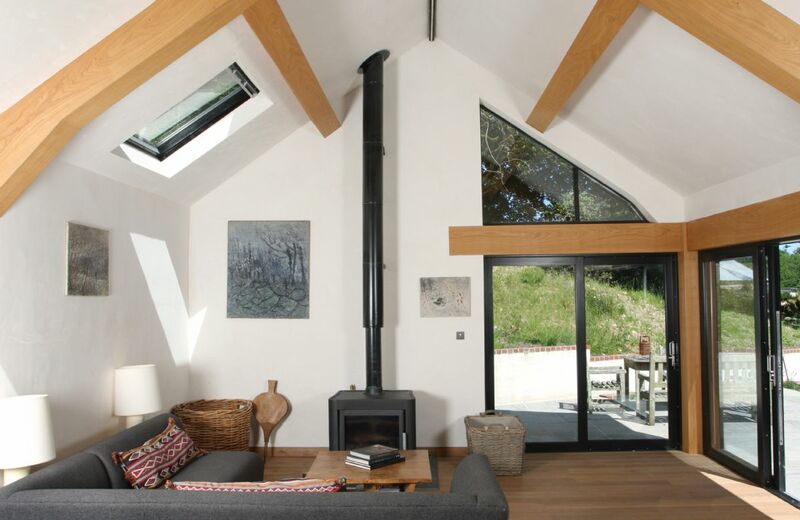 Beautifully designed 'cottage' - a very unique feel - in a lovely, remote unspoilt part of the country. A wonderful, spotlessly clean holiday home. We loved the seclusion and house amenities. The only things missing were, in the master suite, no mirror/dressing table for hair drying and nowhere to hang towels in the en suite area. I was going to delete one star for this but decided everything else was of such a high standard the rating would be unfair. I forgot to leave a message in the visitors’ book but it would have been very complimentary. Simply perfect! The house was even better than expected, the weather was absolutely brilliant, the farm shop around the corner is a must see and "The Lion" in Leintwardine is a relaxing place to spend an afternoon by the river. We enjoyed every minute of our stay. Beautiful accommodation in the most stunning location. A very different type of Rural Retreat, high tech and modern, but a great place to stay with lovely views. Well equipped and comfortable. Everything was fantastic except the heating was difficult to turn down in the bedrooms. If I had to give some feedback the only thing I would say is there were a few patches of nettles around the patio and the road sign for the turning for the barn was a little difficult to spot. Other than these small things we had a wonderful time. Wow, what a place! 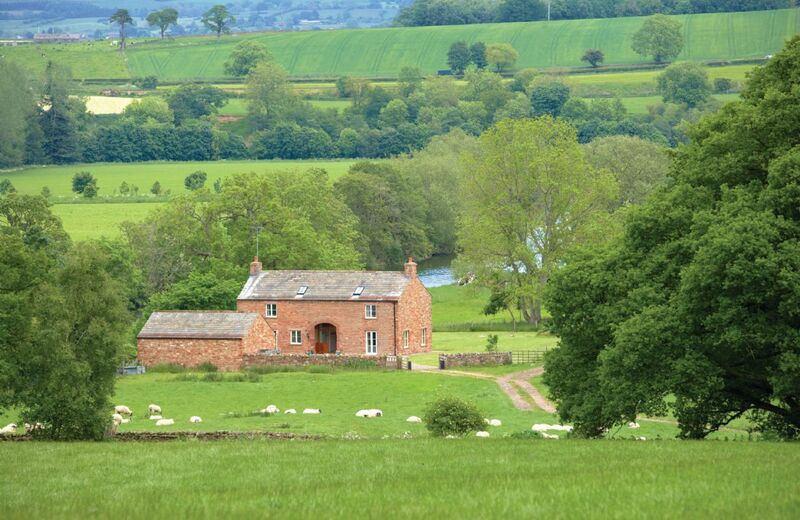 In a beautiful position overlooking fields and sheep with not a neighbour in sight. A great base for walking holiday, to relax or just to have a great time. The house was decorated to the highest specification and the owners just left you to it which was wonderful. Couldn’t recommend enough! Absolutely lovely place, we so enjoyed our time there, the location, the barn, everything. Our only problem was with the heating. We have noticed that others have also commented on the heating. It is underfloor and very complicated. We had 3 people came out one day to look at it, the 3rd came a long way and had to take the back off the sideboard which revealed many valves, which apparently run the length of one wall. He told us he had fixed it and it was better but we still had problems. The man said it was too complicated and the owner of the barn had been told this too. In his opinion it need a different system. 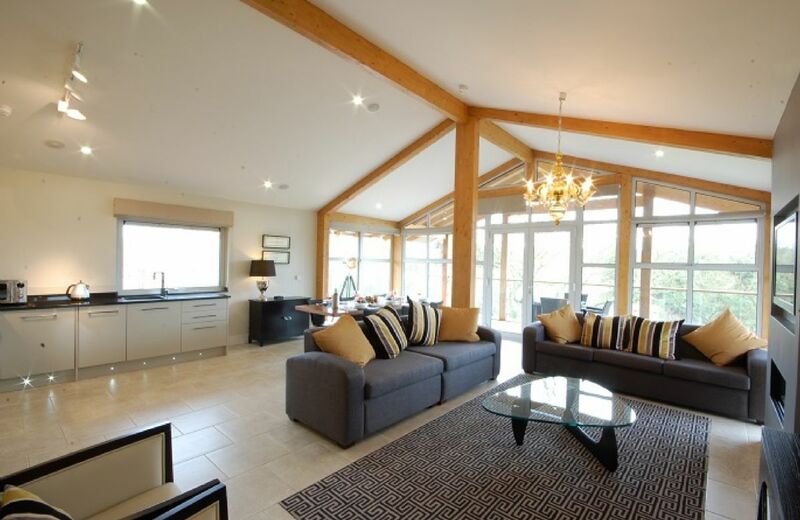 Beautiful location and setting and beautiful interior with very modern features and open plan living. Perfect for a family get together. Heating system was not quite working properly as we didn't seem to be able to set the temperature we wanted. Thank you for your feedback and lovely comments about Wassell Barn. The barn has underfloor heating which is great but if a door is left open, for instance, it is not immediate and takes a while to heat up. Wassell Barn was a beautiful place to stay. It's finished to an extraordinarily high standard. It sits perfectly in its tranquil surroundings. The three excellent bedrooms all with ensuite were very comfortable and perfect for our party of 5. I can't think of a more impressive place that I've had the good fortune to spend time at. Very spacious, well equipped and comfortable. One of the most modern , well located ,and professionally designed cottages I have ever rented .. mind you I have been renting around five holiday cottages in the UK and Europe a year since 15 years back. superb barn in wonderful location. Very disappointed to find NO welcome hamper as we were relying on that for our first breakfast. Situated on the Downton Estate with grounds extending to nearly 5,000 acres, located in the spectacular, wooded and hilly countryside of the Shropshire/Herefordshire borders, close to the Welsh Marches. Wassell Barn is ideal for those wanting to get away from it all, occupying a splendid rural setting with lovely views, just four miles from Ludlow. Would have been 5 but some people might need an iron & ironing board if they were staying several days. Lovely location & nice & clean really nice 4 day stay. Lovely welcome hamper. Thank you for leaving your feedback. We are delighted that you had a lovely stay and have passed your comments on to the housekeeper. The iron and board are actually in the cupboard on the left as you enter the property. Wunderbar eingerichtete sehr grosse Wohnung, mit perfekter Lage, oberhalb der Meeresklippen. Der ehemalige Leuchtturm ist Bestandteil der Wohnung, was das ganze noch viel eindrücklicher macht. Vielen Dank für Ihre schöne Bewertung. Wir freuen uns sehr, dass Sie Ihren Aufenthalt in unserem Leuchtturm-Anwesen genossen haben. A fantastic house to stay in and the tower was fantastic. Our whole family enjoyed it. Fantastic location with walking from the house. The house was clean and warm and the hamper was lovely. Can't wait to revisit. Fantastic location but lack of personal outdoor space was disappointing. The tower in our cottage was a bit disappointing as you had to stand to see the view and the binoculars supplied were broken. Luckily we managed to fix them! On the whole the cottage was well decorated and clean. Expect totally utilitarian. This is a building built for purpose. Reminded me of my Edwardian school as a child with its corridors and classrooms. However the cottage is perfectly equipped with everything you will need and a fabulous breakfast food selection. The tower is an unusual feature, but you carnt get on the roof,which is such a shame as the views are amazing. We didn't get the fog horn ,but as a working lighthouse watching the lights sweep over the sea at night was so cool. Amazingly the windows are positioned so the light doesn't shine in! Such an unusual place to stay, views of seals and birds from practicality every window, and a nice village in walking distance. There were a few downsides however. The master bedroom with the best view is up a long staircase, while the nearest bathroom is downstairs and along a long corridor. Not for those with weak bladders, or wobbly legs. There is a small twin room between the 2 bath room's, but it looks at the car park not the sea. Also when we were there, one of the bathrooms had such bad smelly drains we had to keep the plugs in and the door shut! The bathrooms could also do with more shelf space to put things on. Note also we thought we'd look around the heritage centre after checking out at 10am, but it doesn't open till 11 in the morning. Overall we had a very enjoyable stay and Kynance beach nearby was the most beautiful beach I've ever visited despite the crowds.The lighthouse is such an iconic building on a rugged clifftop at the most southerly point on the mainland. Definitely out of the ordinary. This was our 4th holiday at Wolf Rock, our first with Rural Retreats. We had a wonderful holiday but unfortunately standards seem to have slipped in the cottage. When we arrived the first thing I had to do was to clean the dead flies off the window frame in one of the bedrooms . I then cleaned the mirror in the lounge and the TV screen, I think they'd been wiped with the same dirty cloth. There was dirty cutlery and cooking utensils in the drawer and dirty crockery and mugs in the cupboard. During our 2 week holiday we were not offered any clean bed linen. We were bought clean towels on day 10 of our holiday - and had to wash some of them before we could use them. The welcome hamper of local produce was lovely. I'm not sure what I could have done with 2 lemons. Salt and pepper would have been more useful. Of course we could have tried to contact the housekeeper during our stay but we were on holiday and I did not want to waste my holiday time or have any conflict whilst I was away. The written information asks you to respect the housekeeper and not to contact her in the evening unless there is an emergency - none of these issues were an emergency. Several of the windows were in a poor state of repair. Our experience would not stop us staying on the Lizard again, it is a very beautiful part of the world. The lighthouse was so fun and unique. Views are gorgeous! Our family spent 3 weeks in the UK and everyone agreed that the Lizard was OUR favorite! 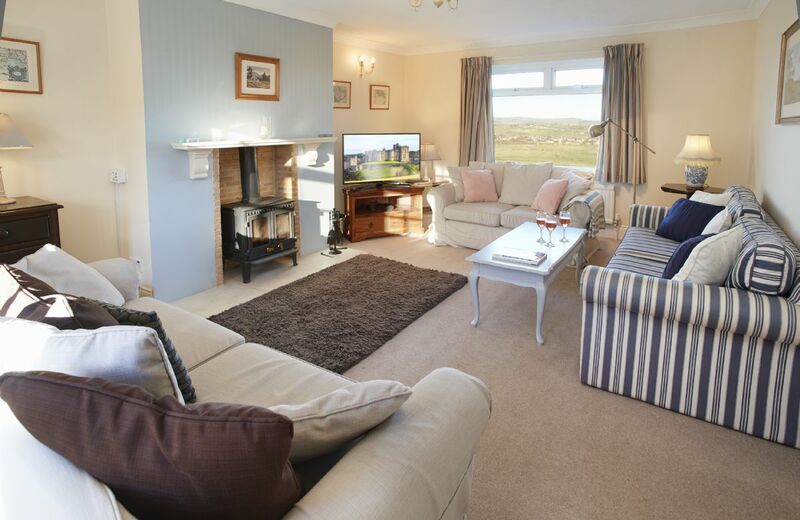 Lovely cottage, great views and generally well presented. Having the tower is an experience: you can dine at its base and relax on the floor above. The twin ensuite doesn't have the fine views of the two upstairs bedrooms, so its lay out and decoration is perhaps even more important. Unfortunately these aspects seem to have been overlooked making it the least attractive room in the cottage but it is still comfortable. Excellent location. Newly decorated and refurbished. Excellent housekeeper. The cottage and tower are wonderful. i have now stayed in every light-house Rural Retreats/Trinity have on their books with the exception of Kent where I live. House keeper was also responsive. Lovely location and quirky cottage being an old lighthouse. There was even a welcome hamper on our arrival. Really lovely cottage and the West Tower was a real treat. We had a very atmospheric Christmas dinner with the wind booming around the tower and the floor vibrating below us. Makes you appreciate why lighthouses are there in the first place! The only disappointment during our stay was the kitchen, which was poorly equipped. There were only 4 teaspoons and it lacked utensils like kitchen scissors, roasting dishes and casseroles. We only threw our roasting pan into the boot as an emergency but would have been stumped without it on Christmas Day. There were no waste paper baskets in any of the rooms either which was a nuisance; sweet wrappers, tissues, make up remover pads etc all had to be stored up and carried to the kitchen. So it was the little things that irritated. However overall we had a memorable Christmas there and that was really what mattered. A superb location and excellent accommodation but a couple of minor glitches. The two steps from the ground floor bedroom and bathrooms were difficult for me. The first had a narrow tread - not wide enough to put my foot flat, The second one was onto the door frame, so not flat and there was no hand/grab rail. Some of the dishes were too big to fit into the dishwasher - the wine glasses and some of the dinner plates which obstructed the arm distributing the water. I am pleased that you liked the location and accommodation at Wolf Rock and I will pass your further comments on. Thank you for taking the trouble to write a review. This cottage is an a superb location and the presentation and facilities of the cottage do not let the location down. Thank you for your great review of Wolf Rock. Beautiful location, superbly furnished and spotlessly clean. The welcome hamper is a great touch too. Not as nicely decorated or interior designed as the other lighthouse cottages in the South West we have stayed in - and we have stayed in all of them frequently over the past 13 years! The living room is particularly grim and uninviting- so much so that we didn't sit in there. The sofa is a bright blue colour, there is a rug of another colour completely that looks as though it's been taken from another property altogether. Nothing matches in the room and it feels cold and not comfortable. There are no nice touches eg themed framed prints and lamps and the room really lets the cottage down. Likewise the upstairs bedrooms have a more utilitarian feel than all the other lighthouse cottages we stay in eg thin short curtains, magnolia walls. Basically there are nice elements to this cottage but overall it doesn't seem to have had any professional design interior design input, that make your usual cottages special places. They have a 4 star hotel feel and this is lacking in places at Wolf Rock. It may seem like a small point but its one of the main reasons we always book with Rural Retreats. 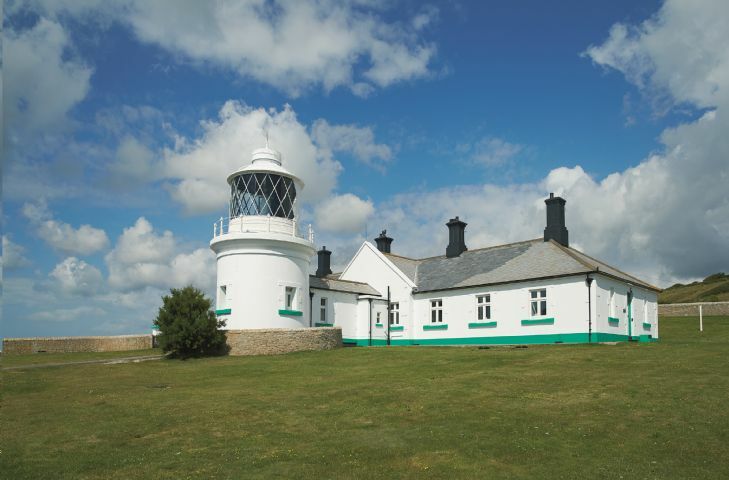 In association with Trinity House, Rural Retreats is pleased to present Lizard Lighthouse. 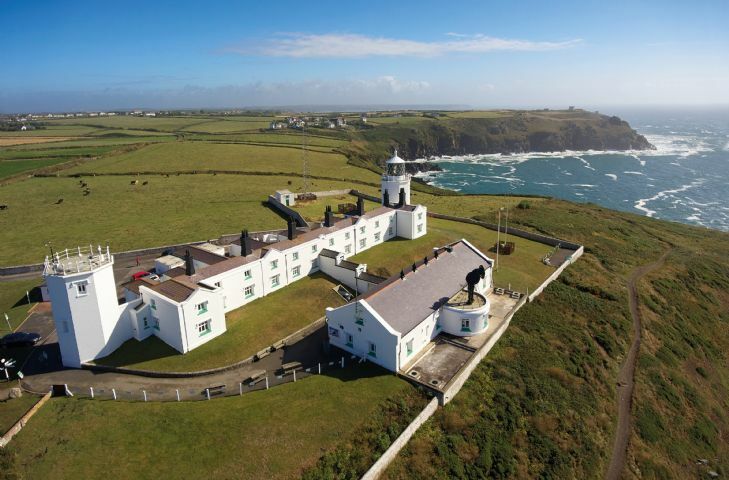 Located on the Southern-most tip of mainland Britain, the six adjacent cottages of Lizard Lighthouse present guests with dazzling scenery and coastal walks right on the doorstep. Rare and beautiful flora and fauna make this cliff top location particularly special. For holidays taken between 23 April 2019 And 25 May 2019 Minimum of 3 nights booking. 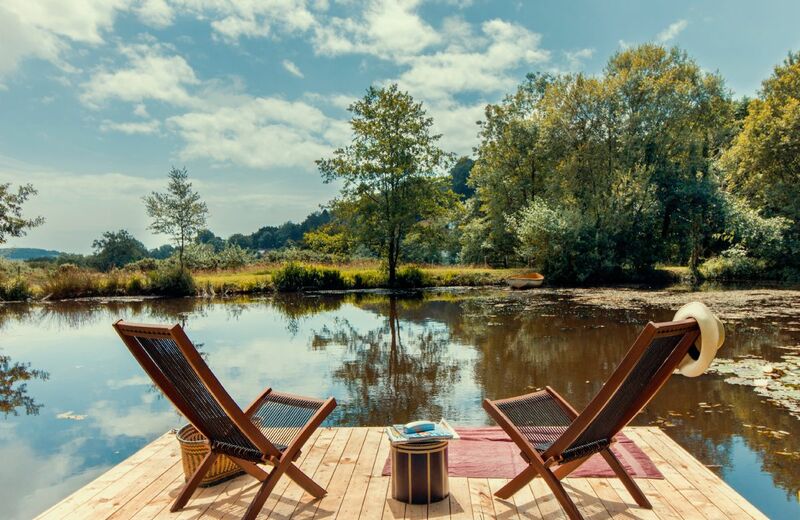 Worcester Pearmain comprises two of ten country lodges located in the peaceful surroundings of Constable Country in Suffolk, an Area of Outstanding Natural Beauty. Guests can enjoy complimentary use of excellent poolside and gym facilities, as well as discounted rates for spa days and golf on two onsite championship courses. Lovely bedrooms and bathrooms but the kitchen area was sadly spoilt by the endless flies there were lots of sticky strips hanging but it did solve the problem and the cooker was a slight issue as the grill didn't function properly . As with all our rentals with Rural Retreats, the standard of cleanliness was excellent. Great facilities throughout, in particular the high number of bedrooms with en suites. Not forgetting the super welcome hampers. very nice property, everything good quality, would come back. This charming, award-winning cottage on the Blencowe Hall estate features a cathedral ceilinged massive breakfasting kitchen. Oak flooring throughout, a four poster Master Bedroom, underfloor heating and a cast iron fire. A beautiful, renovated Victorian property built of local stone with a large private enclosed garden, sun deck and lawn. 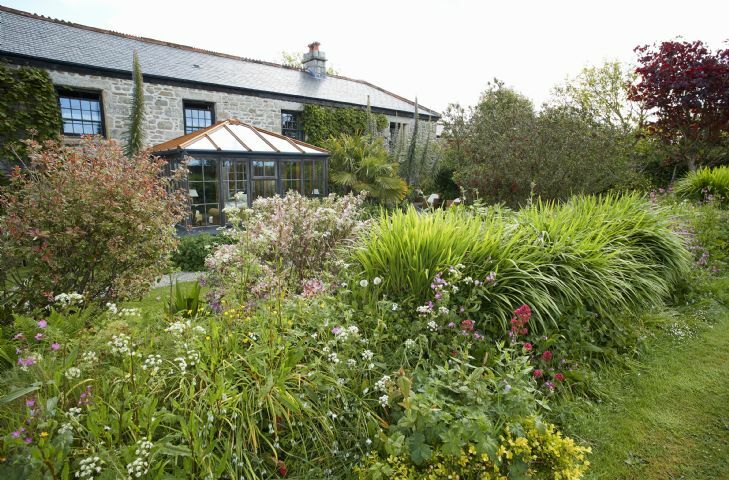 Located at the heart of the north Cornwall coast and Camel Estuary close to Padstow, Rock and fabulous beaches. For holidays taken between 1 April 2019 And 30 April 2019 Minimum of 3 nights booking. Exelent house. location and hamper!, Downside it rained ! 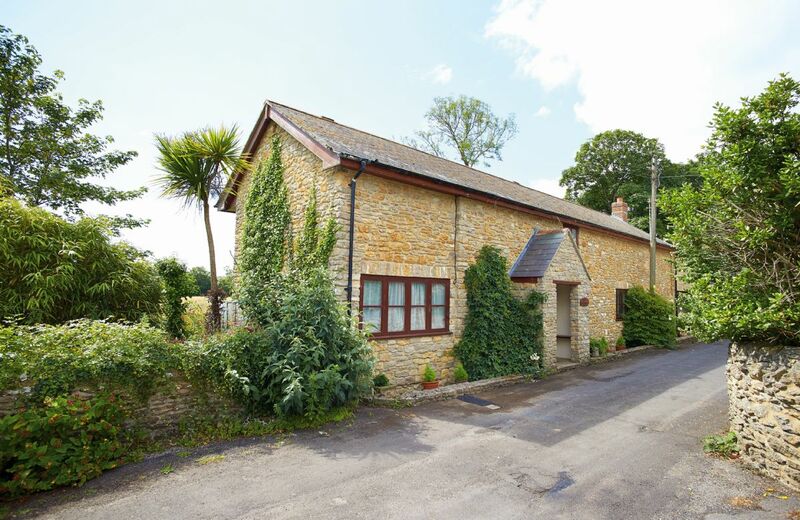 Fantastic Cotswolds Cottage in Longborough with easy access to lovely local pub and walking routes. Easy drive from Moreton in Marsh for breakfast/exploring and an easy train route from London. Welcome hamper was absolutely fantastic. Would highly recommend Rural Retreats - they also checked in half way through the weekend to ensure that we were having a lovely stay. Really lovely house and location. Very well equipped Our second time for booking this house.But does require some tlc . THis is our second holiday at Bounty Cottage and we love it, we feel like we are coming home! The kitchen is lovely although the knives wouldn't cut hot butter so we even had to buy one to cut a carrot so please get some sharp knives! The welcome pack, flowers, washing tablets etc are great thank you. The bedrooms are great but please change the pillows, we even had to bring our own top pillows as they are so awful and even having this on the top we still all had aches as the bottom one was so awful! They need to be softer please! apart from that we love it and hope to book for next year, fingers crossed for sharp knives and new soft pillows on the beds!!!!! Thank you for your feedback for Bounty Cottage.I am so pleased that you love the property and I have put in a request for sharper knives and new pillows! Fantastic cottage, good layout, great pub over the road. This was our 13ish Rural Retreats proberty and one of our top 3. We will be back to Bounty Cottage. We love Bounty Cottage, the accommodation and location suit us perfectly. It was our third visit and we hope to return next year. Just a couple of niggles, the new shower in middle bedroom still fluctuates from hot to cold. Kitchen tap in poor shape and then not working at all! Kitchen a little tired and needing attention around cupboards. A number of lights not working. Overall very satisfactory and we had a good weekend. 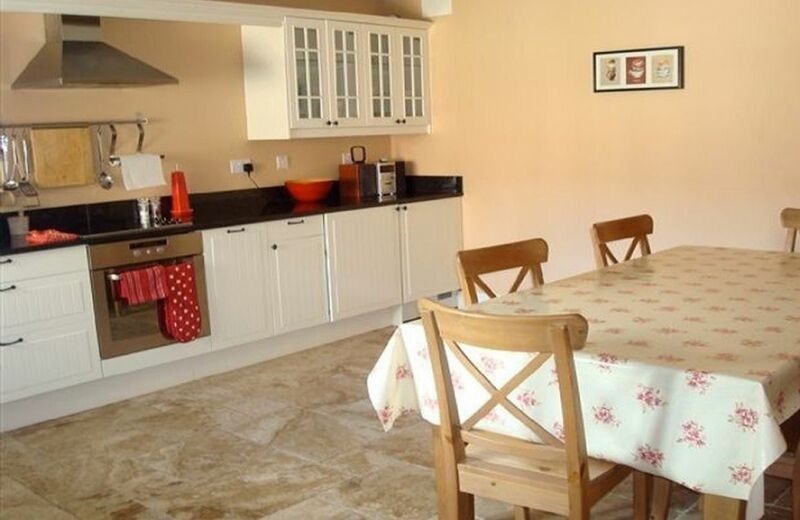 Fabulous cottage, fully equipped, loads of room, huge enclosed garden. Opposite a lovely pub so no cooking! Great welcome hamper, very generous. It's a perfect cottage for all occasions and is massive inside so perfect for large or small groups, there were 4 of us and it was great to all have our own rooms and spread out! Spotlessly clean and everything was thought of. Perfectly positioned in The Cotswolds, the village is so pretty and has a shop and café. Couldn't wish for anything nicer and we'll definitely be coming back. 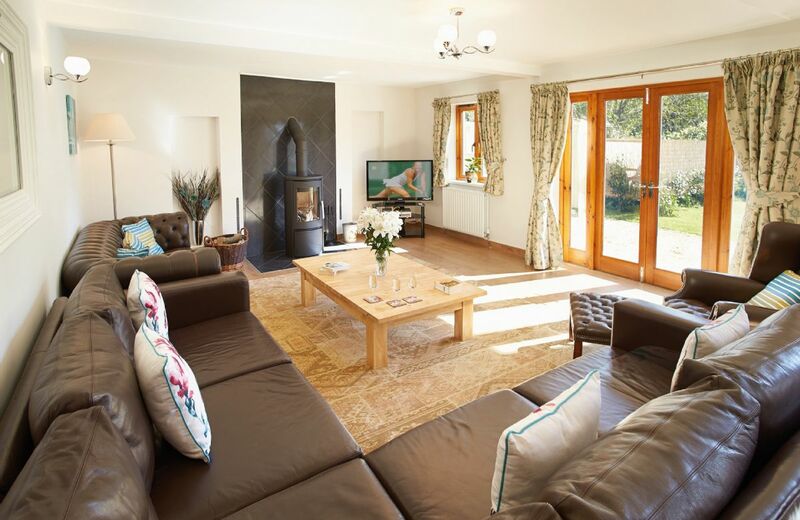 Brilliant cottage, perfect for families and in a lovely location. Location within the Cotswolds and surrounding village was excellent. Village pub opposite the cottage was an added bonus which served lovely food and the hosts were very sociable and welcoming. The cottage had all the amenities we needed and the enclosed garden was lovely to look out on and secure for the dogs. Also the cottage was very well laid out for the older parents within our group. We are very pleased that you enjoyed your stay at Bounty Cottage and thank you so much for leaving your feedback. Beautifully located and appointed home : ideal for relaxing, walking holiday with two cocker spaniels! Excellent cottage - very well equipped, spacious, clean and comfortable. Great location, away from the hustle of the major tourist 'hot-spots' but centrally located for easy access. Well presented, comfortable accommodation, with everything that you could need for a week away from home...just pack clothing as everything else is provided, or available at the Village Shop around the corner, or across the road in the Pub! Had a fabulous time at Bounty Cottage, gorgeous place with lots to do around the area. Team at Rural Retreats we’re really helpful too. Thank you for your kind words about Bounty Cottage and our service. I have just stated these points on your previous forms. cany give any any more details. A spacious period Cotswold stone cottage nestling in the heart of beautiful Cotswold countryside in the middle of a quiet and quaint rural village within walking distance of The Coach and Horses public house. 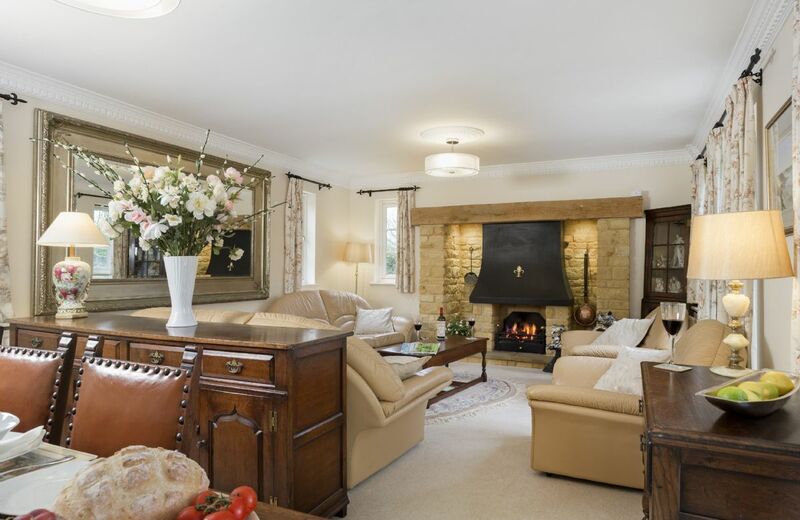 Compton House is a delightful, modern Cotswold cottage, with plenty of space for you all to relax in. Just a short stroll over a field takes you to the centre of Chipping Campden, one of the most quintessential of Cotswold towns. 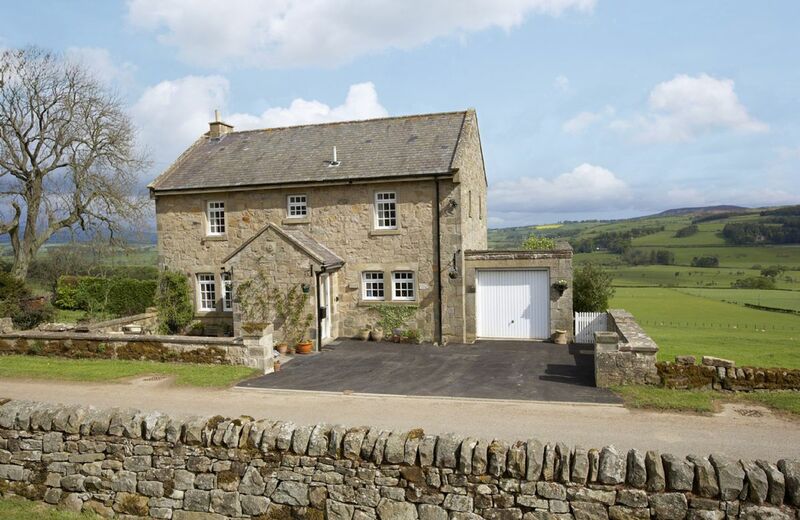 Croft House plunges you into the dramatic landscape of the rolling Northumberland hills. The landscape may be wild, but it’s nice and cosy inside this three-storey traditional stone cottage, with a wood burning stove, and an open plan kitchen where you can gather around the range cooker. Lovely cottage perfect set up for Christmas. A little stuck out with little to do locally, but glorious views made up for it! La estancia fue maravillosa. La casa tenía todo lo que puedes necesitar. Es agradable, cómoda, amplia y estaba muy limpia. Tessa hizo todo lo posible para que nos encontráramos muy a gusto, incluyendo un bizcocho maravilloso. Muchas gracias por tu hermosa reseña. Me alegra que hayas disfrutado tu estancia. If you want a truly rural retreat then this is the place to go. Quiet and unspoilt area. Plenty of places to visit in car. We went mountain biking at Haldon forest park. We visited the Warhorse museum and farm. Tessa (owner) arranged a local horse riding lesson for our granddaughter, at excellent stables nearby. Appeared with jodhpurs and riding boots to loan us. Tessa also left us lovely hamper with best lemon cake ever. Can’t really fault anything. The barn was beautiful and the personal touches made it feel like home. Excellent accommodation finished to a very good standard. Lovely hamper including a delicious homemade cake. Decorated for the festive period throughout. Everything worked perfectly and we all had a great time. Excellent and well kept property in a beautiful area. Very friendly owner. Great house. Had a fab time exploring the area and relaxing in the garden. We are delighted that you enjoyed your holiday at Long Meadow. Thank you for your feedback. Property was superb . Top quality appliances in the kitchen . Beds very comfortable . Welcome hamper was so generous . Nothing was too much trouble for the owners . Homemade carrot cake and extra toys for our toddler provided . One of the very best that we have been to with the family. The barn was beautifully presented, warm, welcoming and homely. The owner/housekeeper went the extra mile in taking the trouble to ascertain whether we preferred red or white wine in the welcome hamper and also made a large carrot cake for us to enjoy during our week's stay. Outstanding. Thoroughly recommended! A lovely cottage with every facility. The owner was very friendly, welcoming and helpful, leaving a very generous welcome basket. I would definitely recommend this cottage. The house was absolutely spotless and wonderfully decorated. Our hosts were lovely and let us chevkniutva little late too. We really enjoyed our stay and would definately recommend the place to friends. Immaculate cottage. Amazing welcome hamper, as well as home made cake and scones. All excellent would highly recommend Rural Retreats. 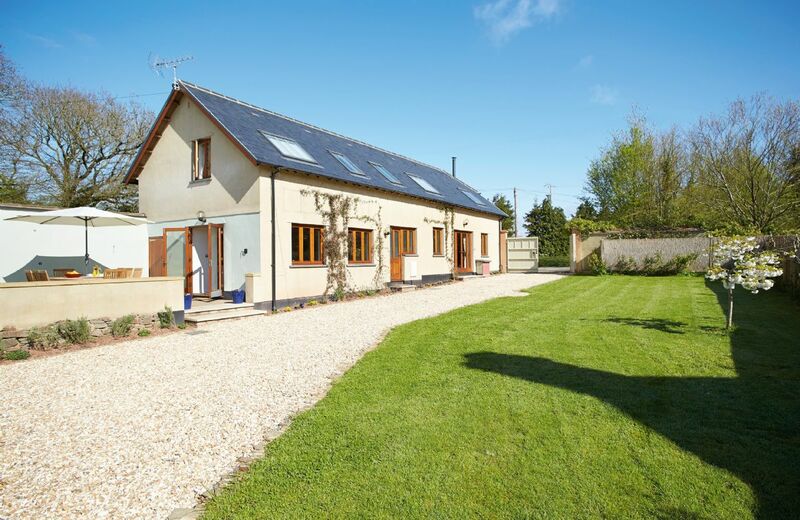 Long Meadow Barn is a charming, spacious detached converted barn set in the village of Down St. Mary. The surrounding countryside is ideal for walking, cycling and golf with Waterbridge Golf Course less than a mile away. The Oat House was a perfect place to stay, so peaceful,really beautifully arranged and immaculately clean. Fresh flowers and an amazing hamper welcomed us to the cosy Aga warmed kitchen. I have booked several holiday cottages over the years, this was the best ever. It’s not only the picture perfect village but the attention to detail in The Oat House that makes this a 5 star stay. My sister and I enjoyed a lovely 4 days at the Oat House. The welcoming basket with food and goodies plus fresh flowers was totally over the top. The house is great with plenty of room... we mostly stayed in the kitchen, sitting room area. The Aga was an experience but everything we cooked was delicious. A very cozy home. Snowshill is a quaint, beautiful Cotswolds town... there are walking trails with amazing views right across the road. We visited the pub a few steps away and spent time at Snowshill Manor, Sudeley Castle, Broadway Tower, Broadway the town, Chipping Camden and Stratford-upon-Avon. Highly recommend! We loved our stay at our Oat house. It’s set in a beautiful village on a quiet lane with plenty of space to relax and enjoy ourselves. We enjoyed dinner one of our evenings in the pretty shaded garden behind the house. The beds were comfortable, the kitchen was amazing and the common areas were conducive to great conversation.. We took some enjoyable walks in the evenings around the village. The house was clean and nicely decorated. This was our second year straight staying at a Rural Retreat house and we were not disappointed. Thanks for such a memorable experience. What a lovely review. I am so pleased that you enjoyed your stay at Oat House and thank you for leaving your feedback. 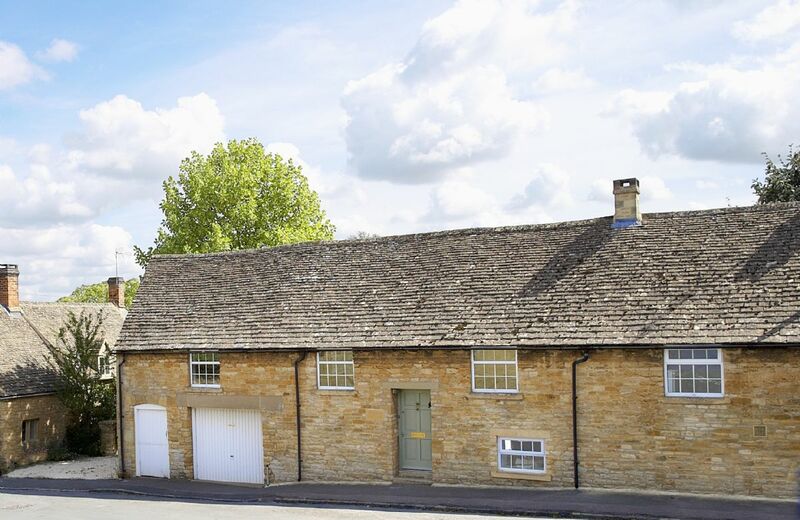 Beautiful location to stay, with the must see sights of the Cotswolds within short travelling distance. Stayed here as a large family group of 7, including two young children (3 nights, long weekend) for mums 70th birthday celebration. Amazing property, beautifully presented and comfortable. Made a special occasion even more special creating happy memories. Master bedroom and en-suite were huge! 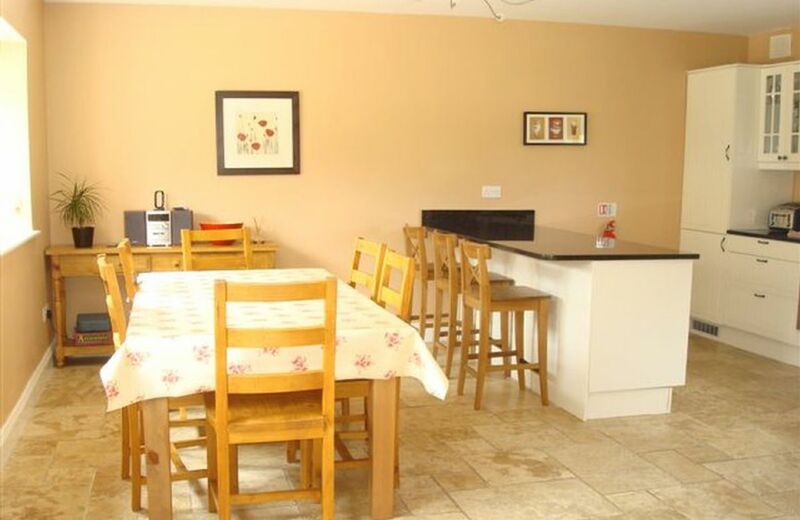 Lovely large kitchen area with big table perfect for entertaining a large family group. Off street parking for two cars, lovely garden. It truly felt like a 'home' rather than a sterile holiday rental. Fantastic welcome hamper. Broadway just up the road, lovely to stroll around and it had great fish and chips to take back to the holiday home. Lavendar farm and Snowshill Manor right on your doorstep. Spent a day at Bourton-on-the-Water which is beautiful plus plenty to keep young family amused. Model Villlage, Motor Museum, Birdland etc. Second day went to Lower Slaugther and walked to Upper Slaughter and back followed by pub lunch - beautiful location and walk. Our first visit to the Cotswolds, and first time using Rural Retreats - would highly recommend both. The Aga was out of action after the previous guests stay and Rural Retreats called me as we were driving to arrive to appologise and did everything they could to help. They had even arranged a small electric oven as a replacement for us. As we were only there a short time we didn't require the Aga anyway - but great customer service from the team at Rural Retreats. We all had a fantastic time and would love to return! The cottage was in a lovely peaceful village location. The cottage itself was lovely and spacious and our adult son enjoyed the snug! There was an amazing hamper on arrival with lots of lovely produce some local and was a great addition to the enjoyment of our stay. We loved the Aga as well in the spacious but cosy kitchen. Overall we had a lovely stay at Oat House. A wonderful property we would definitely book to go again. We have used Rural Retreats for many years and this is one of our favourites ! We agree! Oat House is a wonderful property in a wonderful location. Great location right in the village and really well presented house. Plenty of space for 7 with a nice large warm kitchen where everyone can sit around the table and chat. The house was just perfect for 7 adults before and after our sons wedding! Well presented, clean and great facilities! A perfect retreat for our celebration w/e! A lovely house in a beautiful location, warm and comfortable with everything we needed. Cosy, spacious, clean, nice welcome hamper, beautiful location, great walks. Excellent location for a weekend break. Very clean property which was well appointed. Two minor niggles for us were the lack of a shower in the en suite and the carpeted floor in the en suite. Very much a personal preference, but I find carpet in a bathroom to be unhygienic. Excellent stay at Oat House. Quaint, cosy, warm, well equipped for a very restful few days rest bite. Lovely welcome hamper which went down a treat, so thank you Rural Retreats I will definitely be booking again. The only negative was there was no shower in the main bedroom ensuite, but a small negative in a lovely cottage. Excellent holiday cottage, very cosy yet spacious. Clean and inviting. The welcome pack exceptional, thank you! We had a fantastic time! Will definitely return, hopefully!! Comfortable with room to spread out, and great kitchen. House is in a fabulous location! Everything we hoped for and more. The house was beautiful, immaculately clean and felt like home from home.The welcome hamper was generous and, overall, we were delighted with every aspect of the visit. What fantastic feedback. Thank you so much for all your lovely comments..
Utterly spotless with full attention to detail ...all mod cons, and the aga was great fun to use! Exquisite scenery and only a 2 minute walk to a lovely pub! Thank you for your really lovely feedback for Oat House. 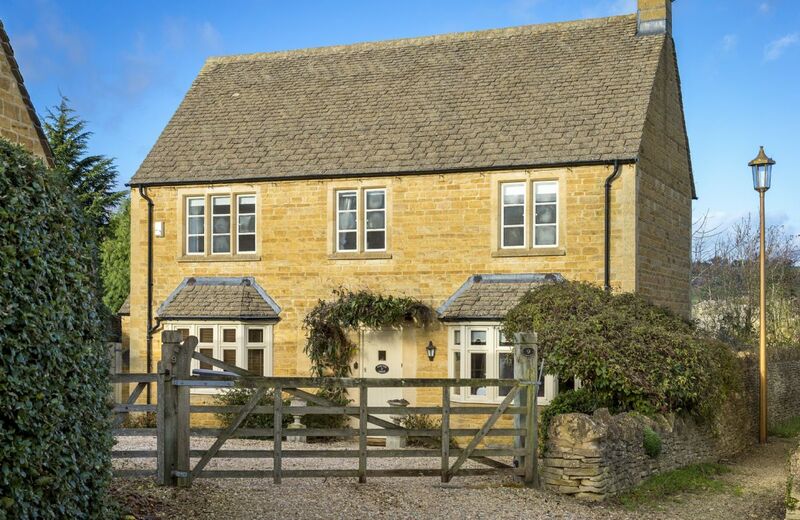 The Oat House, in the delightful Cotswold village of Snowshill, is built in traditional style using honey coloured Cotswold stone beneath a slate roof. Locally there are many public footpaths and the Cotswold Way is close by. accessing/replacing the keys - due to physical height, darkness of position to read numbers. Brilliant property - very comfortable and spacious. Fully equipped kitchen. Bedrooms great size - super view from lounge and within easy distance of local sights. Two good pubs nearby. The piggeries is a lovely cottage With beautiful surroundings, very comfortable where you can really relax. We live in the village and needed extra space for our family to stay and they all loved it. We had a wonderful time at this lovely house in the beautiful village of Burton Bradstock - would thoroughly recommend ! Thank you so much for your great feedback and recommendation. The property needs some care and attention. Amazing property in a lovely village. The accommodation is spacious and beautifully decorated. It has everything that you need. I have said what I thought above. I am sorry that you had a few issues with your stay at Old Piggeries which we have acted upon. This property suited us perfectly - a lovely place to stay with excellent facilities and a large communal space for us all to sit and enjoy each other's company. The fact that there were four bathrooms made life so much easier. The kitchen was superbly equipped with everything we could want and more. The welcome basket and contact by Linda was much appreciated. The village itself was wonderfully picturesque and the recommendations for eating out - the Anchor, Three Horseshoes and the Hive - were all first rate. Our friends from Australia left with such positive views of the Piggeries and Burton Bradstock that they want to return some day! Thank you for your lovely comprehensive review. It is great to hear that your Australian friends loved the property and the village. I hope that you, and they, do indeed return there. Lovely property and location, impressed with quality of bed linen and towels, but felt the property was a bit tired and could maybe benefit from a new kitchen. Housekeeping service was good. Property a little tired I am afraid. Comfortable property, but kitchen needs updating. Cooker hood disgusting. Quite a few chipped mugs. Clock on CH was not set correctly - 4 hrs slow, so heating on at 3am instead of 7am etc! The Old Piggeries was a lovely property. Full of character, spacious, high quality fittings and furniture. Lovely rural views in a stunning village. Fabulous location and very comfortable and spacious. upstairs shower had no hot water. Power surge tripped fuse and blew one of the lights in the kitchen. A shame the double bed is not in the larger room and the twin in the smaller. The house was in perfect condition and the housekeeper very helpful with suggestions for the most attractive route to the property. We very much appreciated a welcome telephone call soon after our arrival. Excellent location, lovely cottage. Struggled with parking outside as car is big and only just managed to get it in the garage. Quite a few cobwebs about and a horrible smell in the laundry room. Not very clean, not an ideal property for kids. Lots of clutter/ornaments, lots of rugs (a real tripping hazard for 3 year old!) Parking a nightmare unless you have small car and when we parked at roadside to avoid this for loading/unloading for a few minutes we didn't like the very brusque phone call it prompted! Wouldn't stay again. 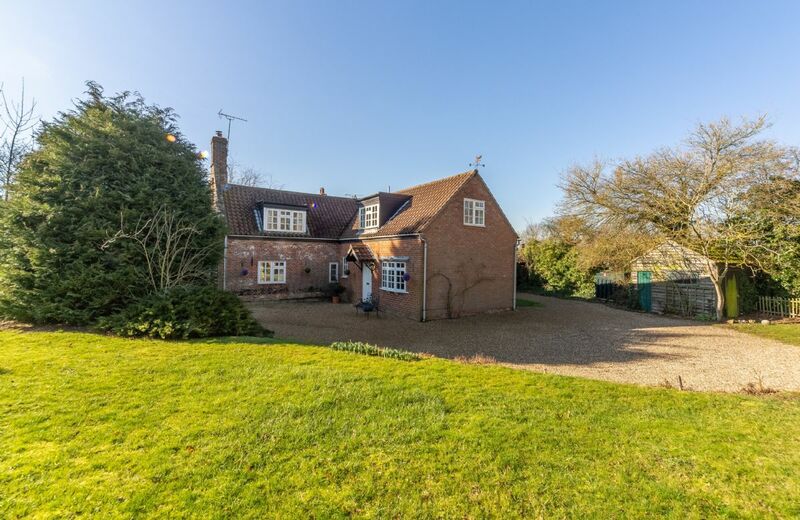 This large detached property is on the quietest edge of the beautiful, much sought after village of Burton Bradstock, with idyllic views of open farmland. The village is one of the main gateways to the Jurassic Coast World Heritage Site. For holidays taken between 22 April 2019 And 25 May 2019 Minimum of 3 nights booking. Well appointed. Lovely welcome hamper. The cottage was very welcoming and comfortable. Very well equipped and beautifully clean. Lots to do and see in the area and wouldn't hesitate in returning. The only slight niggle was the tight turn into the cottage driveway. A bit difficult in a large car/4x4, so would have been nice if mentioned in the details. 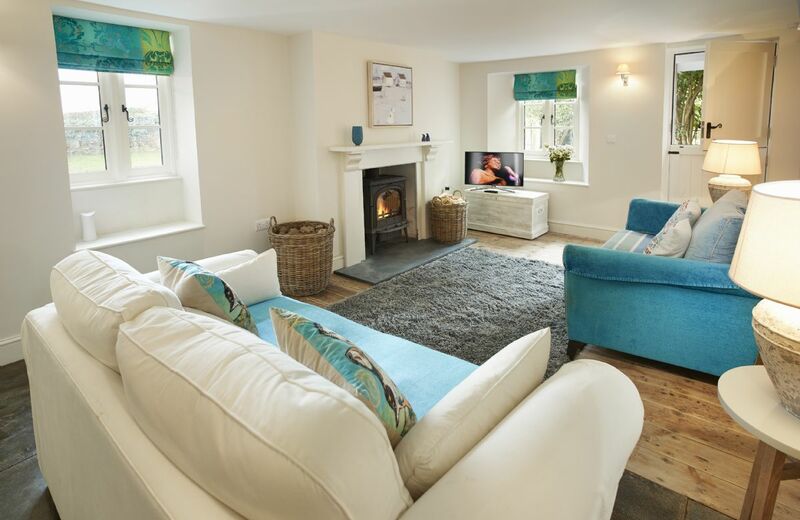 Thank you for your feedback and lovely comments about Peak Hill Cottage. I am sorry that you were just too early for a Christmas tree. We recommend that they are put into properties around 15 December so that they remain fresh for Christmas Day and the New Year celebrations. I have held back one star because the fridge was too small and a bit wonky. Otherwise the cottage was excellent and suited us very well. It was in a very good spot for local outings and we could easily have stayed for longer with much still to do. Excellent cottage and beautiful inside. Equipped with every last thing you could imagine . Beautiful cottage. A home from home. Great location and base to explore the stunning Suffolk coast. Would deffinately recommend. Good is most respects: in particular the wide range of kitchen equipment, and logs for the lounge fire, which was a lovely facility. Disappointing in some respects: not spotlessly clean, too many spiders and other insects, uneven floors. Also, the towels left for us were rank: old, stiff, and smelly. I am delighted that you thought your stay at Peak Hill Cottage was good however I am sorry that you weren't entirely happy. Peak Hill Cottage usually receives great reviews for its housekeeping so I am disappointing by your comments about the insects and the towels which I will pass on. Lovely cottage, clean and in excellent condition. Plenty of rainy day activities for the children and a great garden. Very peaceful. What a lovely review for Peak Hill Cottage. Thank you so much. Spacious and well kept cottage in a quiet and pretty location. 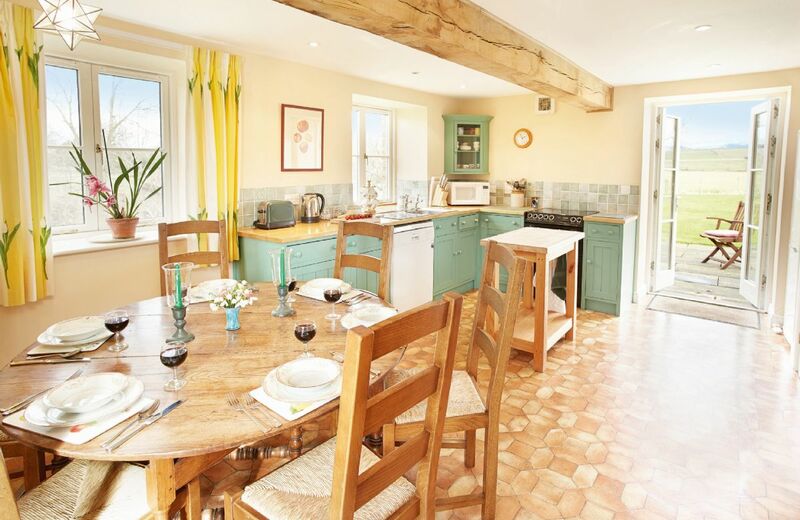 Beautiful, clean and well equipped cottage in a gorgeous part of the country. Had a wonderful holiday there. Thank you for your feedback - we are delighted that you had a wonderful holiday. This cottage was SO well supplied for children, everything from the basics of travel cot, stairgate and high chair through to bibs and a massive toy box. This went way beyond all expectations, our only thought would be that we could have packed a lot lighter had we know how well supplied it was, so maybe there should be more advertising in advance of what is being supplied? Could not fault anything. Very clean and well looked after. The holiday cottage missed out on an excellent rating from us as the interior (exc kitchen & bathrooms), furniture and decor seemed very tired, which was disappointing for a Rural Retreats property. However the property was very clean and the housekeeper provided an excellent service, apart from not leaving any eggs in the welcome hamper which we really could have done with our on arrival. clean with good facilities. Small point but a waste paper bin in every room would be useful. Great cottage enjoyed the stay. Only complaint was cottage very cold on arrival shame the housekeeper didn't put the heating on day of arrival. This delightful cottage, set between farms and woodland, is an easy drive away from the Heritage Coastal towns of Aldeburgh and Southwold. Excellent eateries abound and nearby are castles, bird reserves, centres for golf, swimming, boating, tennis and crabbing. For holidays taken between 20 April 2019 And 25 May 2019 Minimum of 3 nights booking. A spacious family property with a bedroom and wet room on the ground floor making the property ideal for those with mobility difficulties. For those traveling with small children, the property does offer facilities such as a travel cot, high chair, stair gate and baby monitor. Copyright © 2019. All rights reserved. 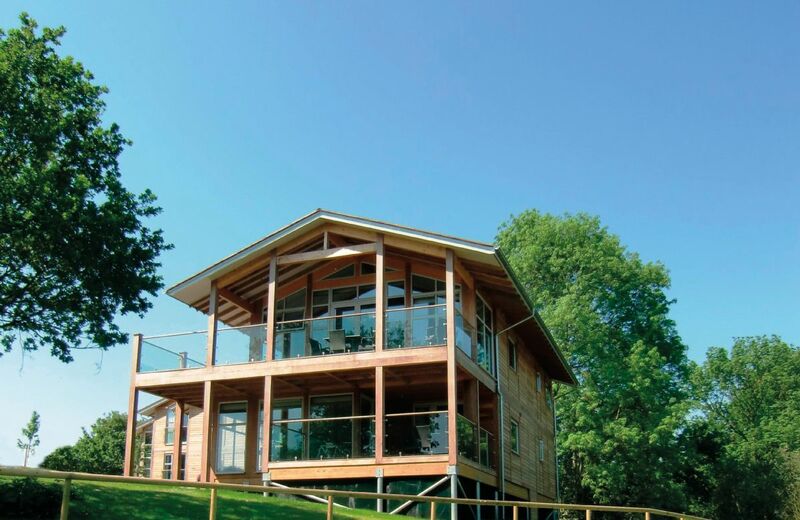 Rural Retreats Holidays Ltd, Retreat House, Draycott Business Park, Draycott,Gloucestershire, GL56 9JY, United Kingdom. By submitting this form, you consent to receiving Rural Retreats holiday offers by email, including Rural Retreats initial information, using the contact details as above. Your favourited properties below will be emailed. SEND NOW Rural Retreats will not send you or your friend any emails as a result of this facility. Please make sure all mandatory fields are completed. There are currently no properties in your favourites list.